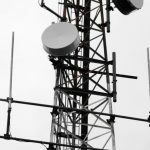 Rent Index Useful for Negotiating - Antenna Management Corp. Rent Index Useful for Negotiating. Have you been approached by a cell carrier to lease your property or roof top for a cell antenna? Our Rent Index can level the playing field. Their “site acquisition specialists” or “leasing agents” are similar to real estate brokers. Their prime job is to search specific geographical areas on behalf of Carriers for potential cell antenna sites. Properties may have certain antenna attributes – height relative to other buildings, proximity to populations, high traffic roads, busy destinations or availability. Most Carriers are expanding their networks – new opportunities for using our Rent Index to negotiate your antenna rental income. Finding comparable rates can be a challenge. Carriers keeps their rates and terms private. Leasing agents work with this knowledge. This puts Carriers at an advantage as they can then set rents. A Rent Index can provide rent comparables. 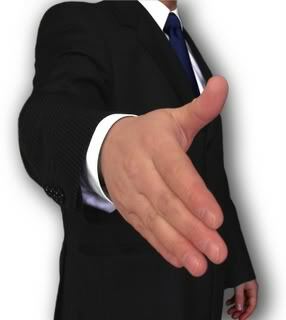 With our knowledge of best industry practices, we can provide you with a better negotiating position. Statutory Right of Ways on properties are to be avoided, regardless of rents, as they may restrict your ability to sell, subdivide, lease or finance your property. When negotiating, contact AMC before you sign anything. If you need more information for rooftops or towers sites, we can help you. We’ll ensure you negotiate the best lease terms possible to protect yourself, and your property, while creating additional recurring revenue. Before you sign any lease tying up your property for 20+ years, think about your long term needs. Statutory Right of Way – This gives considerable control of site. It can also limit your ability to sell, subdivide, lease and finance the property. If your lease starts with a Land Title Form you should abstain from committing to their terms. Use of Leased Premises – The Carrier will have access to the site for telecommunication purposes, but also any other purposes that are incidental. This gives them the power to construct, maintain, occupy, and use equipment buildings with all necessary cabling, antennas, antenna mounts and any other related attachments that are found on the site. In addition, they also now have permission to install, reconfigure, attach, operate, maintain and replace anything related to the initial, as well as the additional, equipment on the leased premises for wireless communications. The carrier may connect its equipment and provide telecommunication services by wireless, cables, and/or wires to the equipment of any other occupants at the site. Rent – You may be offered to pay annually in advance; this can include your hydro and taxes. This however requires an annual audit. The Rent does not increase with a Rent Index. Confidentiality – the terms and information will be held in strict confidence. The Owner, its agents and employees agree not to divulge information to any third parties. This can limit the Owner from using consultants and lawyers. Term – lease is typically twenty years (4 x 5y) via automatic renewals. This limits annual rent increases. Renewals – If the Owner does not agree to accept carrier’s renewal rate, the Owner must go to arbitration. Insurance – As for $10,000,000 indexed to inflation, get annual certificates and exclusions. Use – They may require open access to the premises and utility rights for telecom services. One must get a survey of all equipment being used. Registration – Carriers may go ahead and register a Lease. This should be avoided. Approvals – The use of the site is conditioned on the property’s suitability. If it is unable to obtain government approvals. Interference – The Carrier agrees not to interfere with existing users on the property as long they operate only within their respective frequencies. In turn, landowner agrees not to lease the property to another cell provider if it does in fact interfere. Access – Owner must grant the Carrier 24/7 access and easement to their site. Co-Locations – Carrier may sublease or licence the site. Taxes – The Carrier shall not pay any taxes; unless, it is demonstrated that costs result from the Carrier’s use of the Premises. Assignment/Sublease – Carrier is given the right to assign. Hazardous Substances – If contaminants are discovered during the lease, the Carrier has no liability. Sale of Property/Right of First Refusal – You should always avoid any such terms. Contact us for a consultation with no obligation. This entry was posted in Latest News, Lease Negotiations. Bookmark the permalink.